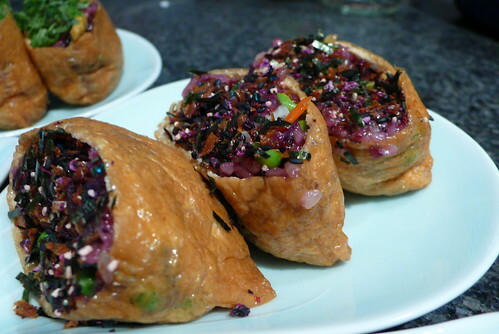 This entry was posted on February 27, 2008 at 6:37 am and is filed under *Sonja, homemade, Japanese. You can follow any responses to this entry through the RSS 2.0 feed. You can leave a response, or trackback from your own site. 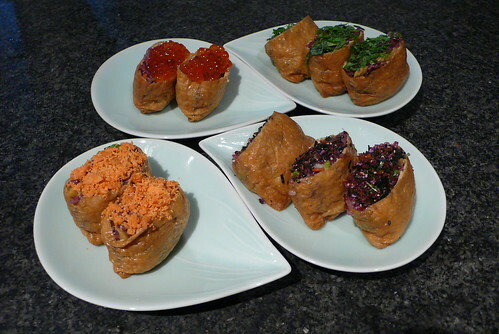 we MUST have an inari party at some point. 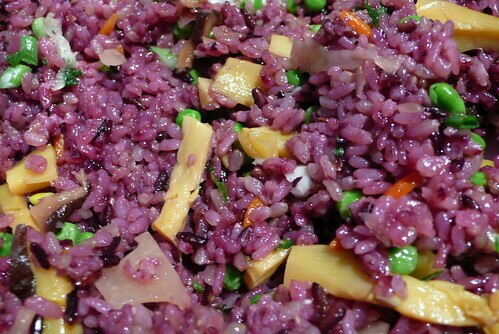 like the purple rice idea- really pretty! 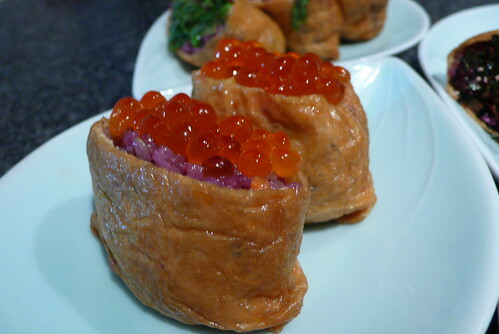 ikura cereal- let’s do it! I love this post. 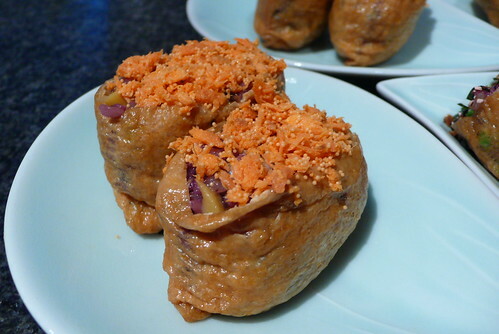 I made inari once, and was so disappointed that it was so bland.Glad to know it’s just the nature of the dish, but I love how you’ve spiced it up!